Like everything else, food trends come and go with some crazes that are still lingering as tried-and-true classics and others getting thrown into the waste bin of history. Here are a few culinary concoctions that used to be wildly popular, but have now seemingly disappeared. Take a look with us, and perhaps this little rewind will jog your memory and take you back to the good ol' days of being a kid. If this was one of your favorite childhood foods that ever existed, you're certainly not lone. There are of course those Maid-Rite restaurants slinging "loose met" sandwiches in the Midwest, and there are at least one gourmet Sloppy Joes food truck out there, D.C's Neat Meat. 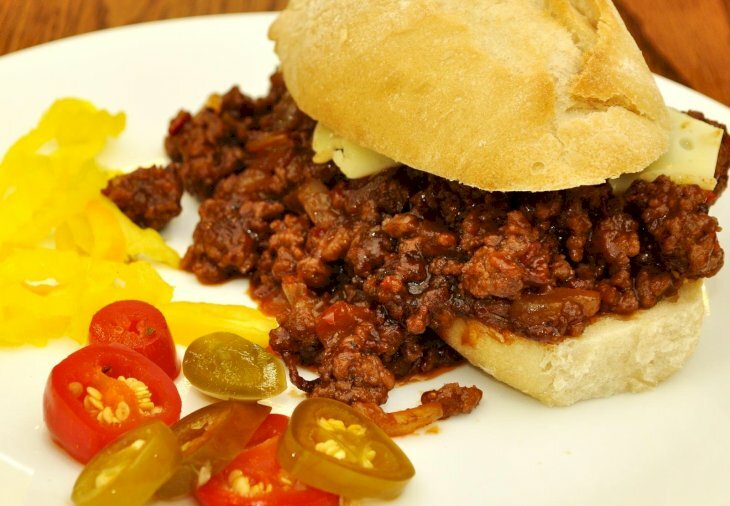 But Sloppy Joes are nowhere near the weekly dinnertime staple, complete with "Manwich" sauce to create the perfect mouth-watering meal. Sandwich-centric food blog Eat A Sandwich took to social media to try to find out just when exactly the last time was when someone had a sloppy joe, and the answers varied but hovered around the 90s. It may be possible that it's a health-conscious thing and they're just too high in sodium for people. The name might be turning people off as adults, and Sloppy Joes haven't been given the gourmet makeover that similar kid-friendly fare like grilled cheese has. There was, however, one response to the "Why aren't we all still eating Sloppy Joes? ", and it's pretty straightforward: It's merely because we're not 11-years-old anymore. Well, we can't really argue with that, can we? Although, in some parts of America you can still find this delicious sandwiches. When it comes to dessert, there's good chance you forgot that tapioca pudding even being "thing". It certainly was not for everyone, but it made it on this list of favorites. If you're a certain age, you probably remember eating the little snack pick as a kid, or that homemade kind that Grandma used to make, so, what happened to this dessert? 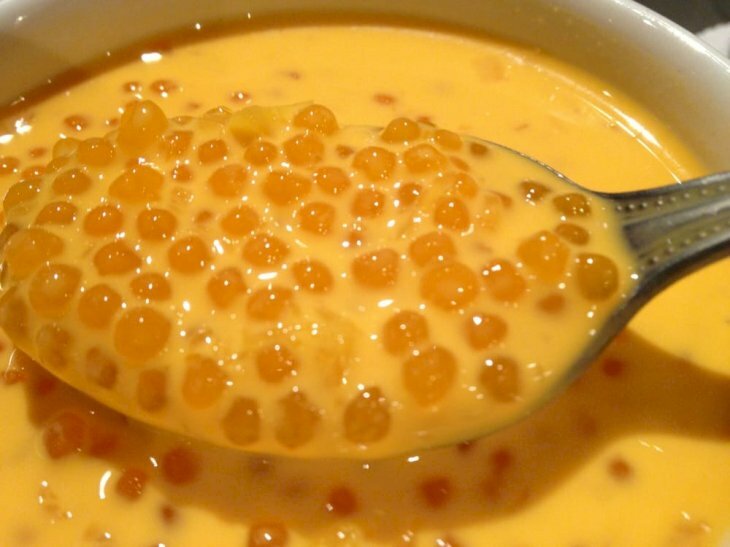 It's not entirely clear, but the culinary historians over at Aunt Lil's Kitchen suggest that scratch-made tapioca fell from popularity because it was a time-consuming and somewhat complicated process. In 2005, Amanda Hesser concluded in the New York Times that it probably fell out of favor for the two following reasons: most home cooks can't give it the consistency, and it looks rather disgusting when it's done wrong. Unfortunately, improper cooking of this oddly-textured tret is all too common, which is why it's earned the nickname "fish eye pudding". That just sounds disgusting on so many levels, and with a nickname like that, it's no wonder people stopped eating it. Wow, that's one way to shove it off the market. Or, perhaps its some other reason... Nonetheless, there are still a lot of homes of America that consumes their own versions of this pudding. Remember when Sheldon was explaining what Tapioca is during one of the series on 'The Big Bang Theory'? His words were: "Tapioca is extracted from the root of the plant Manihot esculent, due to the high concentration of cyanide, it is poisonous in its raw form and lethal if prepared improperly." It wasn't too long ago that a backyard cookout wasn't complete without a massive tray of Frank and Beans. People took it seriously as well, and in 1955, Margaret King of Yankee Magazine reminisced about how important it was to get the dish just perfect in mid-century New England, writing: "The yin-yang of trying to achieve excellence with franks and beans was the secret of not only a great supper, but of a marriage as well." Wow, we sure hope none of those ladies messed up on this outstanding dinner. 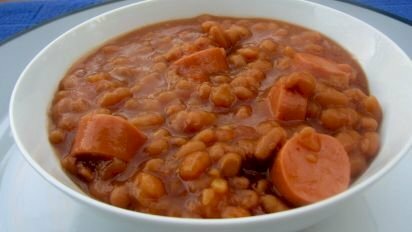 Franks and beans were easy, affordable, filling, and, to some, delicious. So that leaves us with yet the famous question of "why aren't they a mealtime staple anymore?" You could argue that they're the opposite of Instagrammable. Plus, these days, if you're going to eat hot dogs in public, they're going to be authentic stadium-style dogs or in foodie-friendly street food form, like those you'd find in food trucks and not all sliced and diced and mixed with beans. We have also become more aware of the consequences of sodium these days, and canned beans and hot dogs are both big offenders in that regard. Althought, not everyone cares about this and you could still find a few tasty versions of this dish. Business Wire stated that sales of kids' beverages have been on the decline since at least 2008, and there are a few factors behind this. 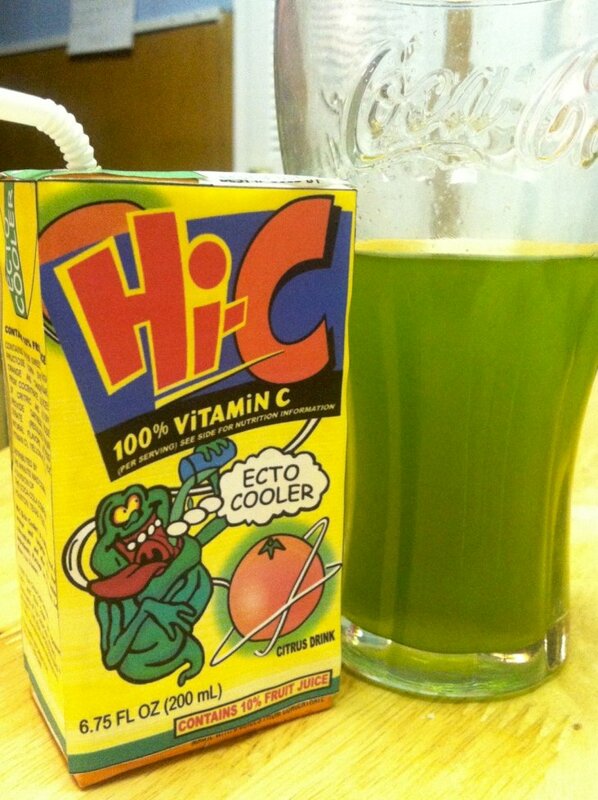 The American Academy of Pediatrics notes that one little box of Hi-C Cherry contains 27 grams of sugar. That is the last thing you need your kids consuming, especially when they don't have enough activities to rid that sugar-buzz. This amount of sugar is actually more than the American Heart Association recommends for an adult woman to have in an entire day! No wonder we had so many little energizer bunnies running around. Romper also points out they're not exactly environmentally friendly either. What on Earth do they mean by that? Well, a juice box can take 300 years, at least, to disintegrate, and anyone who wants to set a good example for their kids would instead opt for reusable containers, right? McDonald's had a hand in forcing us all to stop drinking Hi-C as well, specifically the drink known as Hi-C Orange Lavaburst when they decided to stop carrying it in 2017. 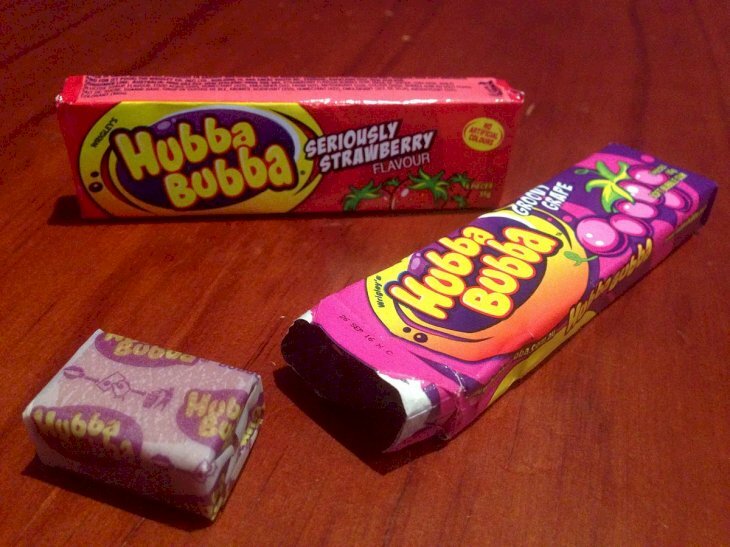 Believe it or not, you can still buy gum-in-tape-form under the name Hubba Bubb Bubble Tape. What's even more surprising is that the Fruit Stripe gum is still around! So is Bubble Yum, the super-sweet, super-fruity gum that suffered briefly from the strange and disgusting rumor that it was made with spider eggs? Gross! It is understandable that adults have moved away from these radical gums, but even the kids are no longer chewing these sugary treats anymore. The question is: "What happened?" It's likely these were favorites in the 80s and 90s but were pushed aside when we realized sugar-free was actually terrible, and we could chomp away without all the unnecessary tooth decay. What did you think of these fads that no longer exist? Were any of these your personal favorites? Let us know in the comments section below. Remember to share this with your friends and family and keep up-to-date with us for more of your ultimate rewinds in time. The world we live in can sometimes surprise us and amaze us. We have so many diverse cultures and personal laws that not everyone recognizes these traits as we are all so very different. Come with us to find out how some cultures live their lives and be prepared for the unexpected! The Queen had many responsibilities and had to leave her children with nannies. Some believe that Meghan might follow her example. But, she might do what other women in the family have done. Let's find out more!